"Sheba" is the largest medical centre in Israel and Middle East. The centre consists of 150 departments and clinics staffed by 7,500 health care professionals. The hospital boasts of the largest staff of internationally recognized specialists. 25% of all clinical trials held at hospitals of Israel are held at “Sheba”. "Sheba" cooperates with world leading biopharmaceutical and pharmaceutical companies for the development of drugs, technologies and treatment methods. "Sheba” is the leader among Israeli hospitals in performing complicated medical procedures. Thanks to cooperation with the leading MD Anderson Cancer Center, the hospital constantly introduces innovative protocols in the field on Oncology. Research work conducted at "Sheba" makes the hospital one of the leaders in its field on the international level. The Sheba Medical Center provides treatment for the entire spectrum of diseases. A multidisciplinary team of specialists participates in the treatment of each patient, which optimizes the pace of diagnosis and speeds up the treatment process. The International Medicine department provides full range of medical services for foreign citizens who wish to undergo a full course of diagnostics, treatment and rehabilitation in Israel. The financial and professional activities of the Sheba International Medicine Department are strictly monitored by the Israeli Ministry of Public Health. The cost of treatment is 20 - 30% lower than the cost of treatment through private hospitals or intermediary agencies. A qualified medical consultant will evaluate your medical problem and will prepare an individual price quote for the treatment. Each patient is offered a personal case manager which accompnies him/her during the entire treatment period in the hospital. 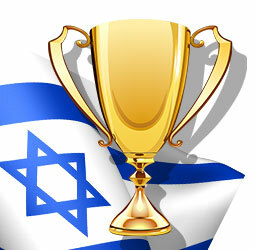 We provide a wide range of services which will help you organize your travel plan to Israel.